At The Law Office of David Goldman PLLC, Our Jacksonville estate planning lawyers and Ponte vedra probate attorneys have been involved with thousands of Wills, Trusts, and Probates for many clients. Our estate planning documents define who is considered a descendent or an heir and can often reduce the risk of expensive probate litigation in Florida. Most clients estate planning goals are to leave part of their estate to their children. Sometimes there are children that are born out of wedlock. Sometimes these children are known to the parents and other times they are unknown. Sometimes they have been treated like a child or acknowledged during the life of the parent and in other cases, they may be unknown until the death of the parent. As Probate lawyers in Jacksonville, we are often asked if though children are included in a decedent's estate or should they be excluded from the parent's estate? A child can establish paternity during a probate proceeding if he or she has complied with the statute of limitations governing paternity claims and the other Florida laws concerning paternity. In Jacksonville, we find that many of the potential clients this can be problematic. Florida residents can find the laws for establishing paternity under Florida Statute Section 742.10(1). The paternity statute defines the jurisdiction for paternity hearings and what government agencies may deal with a petitioner’s claim. Also, the Florida statutes provide the requirements for a claim of paternity including the requirement to disclose your social security number. One of the most important issues regarding paternity claims in Florida probate court is the statute of limitations on paternity case. A statute of limitations is a law that tells someone with a potential claim the period he or she has to make that claim before a court will no longer consider it. There are many statutes of limitations law for just about every area of law. 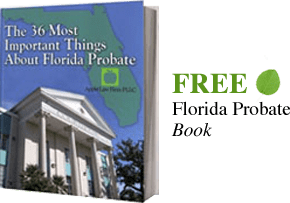 Probate and paternity claims also have a The statute of limitations for Probate and Paternity in Florida can be found in Florida Statute section 95.11(3)(b). This statute states that the statute of limitations is four years for an action relating to the determination of paternity. The time limit starts from the date the child reaches the age of 18, the age of maturity, or is emancipated. This means that the day after the individual reaches 22 years of age, he or she will not be allowed to bring a paternity claim. A different statute applies if the decedent and alleged father died intestate. A person dies intestate when he or she dies without a Will. When a person dies without a will, his or her estate passes to the estate’s heirs according to Florida statutes. The decedent has no say in how a probate court distributes the estate. Only certain family members will receive a portion of the estate. Florida Statute section 732.108(2) governs the adjudication of paternity when the decedent, and alleged father, died intestate. This law states, “For the purpose of intestate succession… a person born out of wedlock is a descendant of his or her mother and is one of the natural kindred of all members of the mother’s family.” The law further states the normal statute of limitations does not apply if the person dies intestate, and the paternity of the father can be established by an adjudication before or after the death of the father. However, recent case law suggests the 4-year limit still applies even if the alleged father dies without a Will. In Rose v. Sonson, the court did not permit an alleged child to have a paternity adjudication after the decedent’s death because he waited until after he was 22 years old. The Florida Supreme Court held in In re Estate of Smith that a child’s paternity claim against the decedent’s estate, which passed through intestate succession, was time barred because the child waited over four years. The best Jacksonville probate attorneys will always recommend that a child who is born out of wedlock petition for paternity as soon as possible because the child may miss their opportunity if he or she waits too long. For more information, please contact our office today.